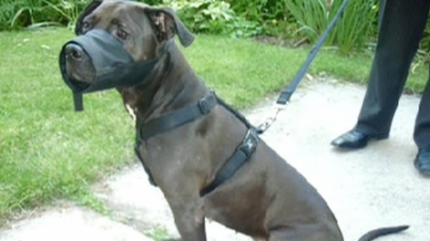 TORONTO — Ontario's highest court has reinstated a death sentence for Ginger the pit bull. Ginger was involved in a fight with a dog named Buddy in east-end Toronto in November 2005 that left both dogs and Buddy's owner with injuries. The City of Toronto was granted an application to have Ginger destroyed under the Dog Owners' Liability Act in 2007, but Ginger's owner, Philip Huggins, won an appeal. The Crown took the case to the Court of Appeal for Ontario which ruled Thursday to reinstate the order to destroy Ginger. Justice Mary Hogan, in setting aside the destruction order, had decided the Crown must prove, in addition to the fact that a dog is a pit bull and bit a person or an animal, that it is necessary for public safety that a dog be destroyed. However, the Appeal Court found that the intention of the Dog Owners' Liability Act is clear and requires Ginger be destroyed. "When it comes to pit bulls, one bite or attack, or one menacing act ... mandates the court to issue a destruction order," the justices wrote. "The legislature did not contemplate a debate over whether the dog's conduct was an act of aggression, or whether it occurred in circumstances of play or provocation or self-protection or the protection of humans or their property." Justice Robert Blair conceded that the decision will be difficult for Huggins. "Like pet owners generally, he is undoubtedly very fond of Ginger and sees her as the friendly dog and docile pet his mother portrayed at trial," Blair wrote in the decision. "The legislature has decided, however -- as it is entitled to do -- that pit bulls are inherently dangerous animals that pose a risk to public safety by their very presence in public places."